Dining Room furniture is produced in a variety of materials, with the main differential being veneered wood and solid wood - if this bothers you it is important to make the distinction when carrying out your research. Similarly the material quality of the chairs will impact on how long it will last. Almost all of the stores on this page will have offers and deals on many of their Dining Table and Chairs Sets at any given time, it is well worth researching all of them. 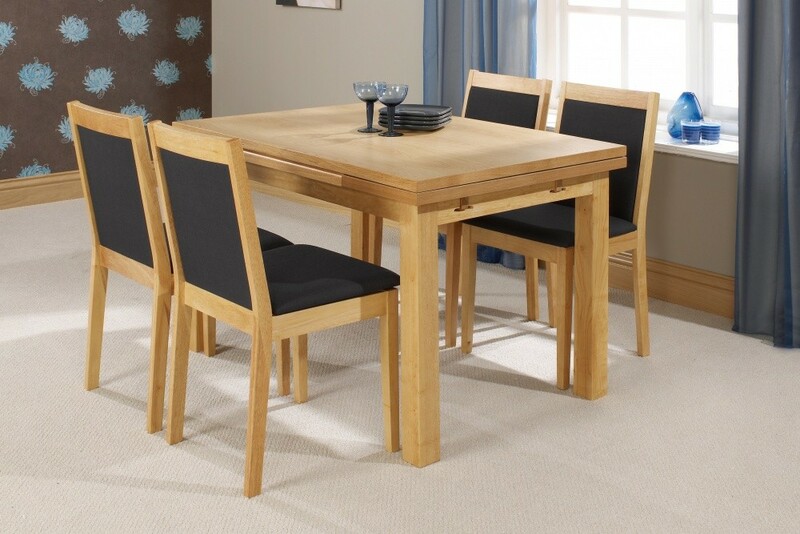 Furniture Village have a massive range of dining sets, but you need to do your research because although this Willis & Gambier Maze extending table and four Fletton chairs is reasonably priced at £939, it would be advisable to look through their website to check on the deals before paying a visit. 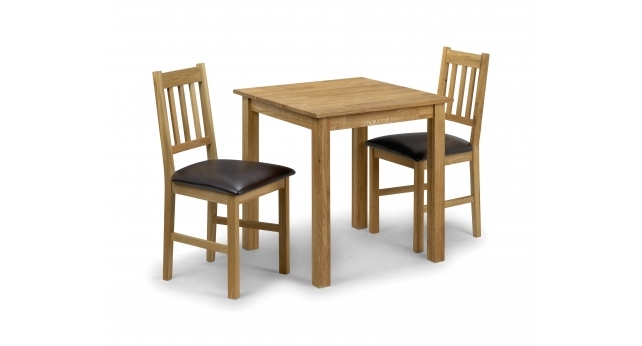 At the other end of the spectrum, this Coxmoor Square Dining Table and two chairs is just £199. With Oak styled dining suites more popular than any other type in the current market, this is a four chair Oak finish with bark grey linen dining chairs. 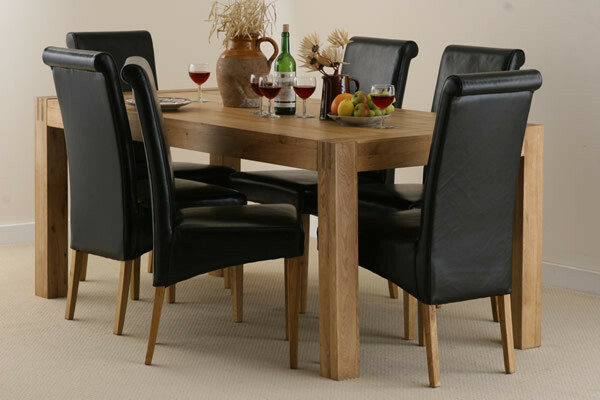 Further to the above point, for an Alto Solid Oak 6ft x 3ft Dining Table with six Black Scroll back chairs, at below £750 is very good value.